There will be two smaller meeting rooms available for any 'splinter meetings' that the various groups may feel are required during the Inter Op. Sign up for these rooms will be through this page. 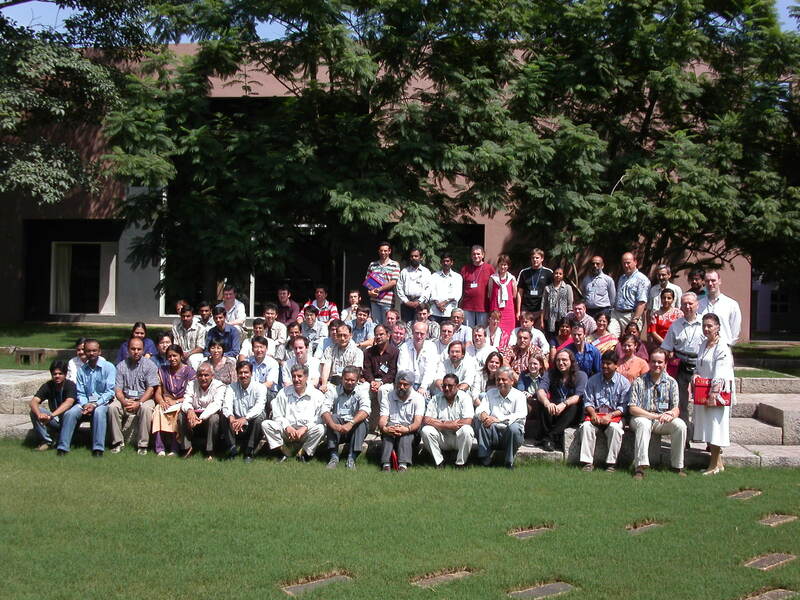 The next IVOA- Interoperability Meeting will be held at the Inter-University Centre for Astronomy and Astrophysics (IUCAA), Pune, India, during September 27 - 29, 2004. This will be followed by an IVOA Small Projects Meeting, covering the Asia Pacific region, during September 30 - October 1, 2004. Both the meetings will be open for those interested in Virtual Observatory (VO) related activities. The Interoperability Meeting will have a small number of Plenary Talks and Working Group meetings according to the usual pattern of the Interoperability meetings. The theme of the regional meeting will be "Building Partnerships : VOs and New Telescopes", and it will consist of a series of invited talks, and short presentations and demonstrations. A detailed programme of the technical sessions of the meeting will be announced shortly on the meeting web site. The meeting will take place on the campus of IUCAA and is being organized as a part of the activities of the Virtual Observatory-India (VO-I) project, of which IUCAA and Persistent Systems Pvt. Ltd. (PSPL) are the main collaborators. The project is supported by the Ministry of Communication and Information Technology of the Government of India. An online registration form is available on the meeting web site. Everyone interested in attending the meeting is requested to kindly submit the registration form just as soon as possible, to enable adequate arrangements to be made. There will be no registration fee. Pune is a medium sized city (population ~ 3.5 million) located about 160 km from Mumbai (formerly known as Bombay). Pune can be reached by road and train from Mumbai in a few hours and by air in about 20 minutes. Detailed information about reaching Pune will be provided on the web site, and organizers of the meeting will help in making arrangements for the journeys between Mumbai and Pune. Participants from other countries can also use Delhi for their arrival and departure. Direct flights are available between Delhi and Pune, the distance being about 1300 kms. A hotel within a few kilometers of the IUCAA campus is being identified to accommodate the participants. The room rent is expected to be around US $ 60 per day, including breakfast. Free transport between the hotel and IUCAA will be provided. Some accommodation will also be available in the IUCAA Guest House. Detailed information about the hotel and the procedure for making reservations will soon be announced on the meeting web site. Lunch and dinner will be provided on the IUCAA campus with complements of the organizers. There are a number of eating places within a reasonable distance of the IUCAA campus, which can be conveniently visited in the evenings. A conference banquet will be arranged. All those who are planning to attend the meeting are urged to book their flights at an early date, since seats on flights to and from India can be difficult to get. The end of September is not the most crowded season, but early bookings are strongly advised. All foreign nationals visiting India will need a visa, which has to be obtained from the Indian Consulate/Embassy nearest to them. Registered participants will be sent a letter of invitation which would help them to get a visa. It is advisable to apply for a visa sufficiently early. Foreign nationals coming to the meeting will have to provide details about their passport, etc. through the personal particulars form, which will be on the web site. Further information are available on the meeting web site: http://www.iucaa.ernet.in/~vomeet/ . The 2004 autumn interop meeting is provisionally set for Mon 27 - Weds 29 Sept 2004. It is anticipated that a satellite regional related workshop will be held 30 Sep - 1 Oct 2004. Further details will appear soon.